A successful direct mail program builds a long-term relationship with its donors. As a result, it enjoys high rates of response to its appeals. In addition, the average gift and number of gifts increases, and large individual gifts continually provide a substantial portion of the overall income. The three key components consist of the appeal, format and prospect list, and these must be carefully selected if the desired results are to be obtained. In addition, the record keeping procedures must be designed to provide reliable data to evaluate the initial test and continuation mailings as well as the long-term performance of the newly acquired names. At Development Associates we test and mail hundreds of new donor acquisition lists each year. The results provide a reliable method of evaluating the quality of each list, the mailing package and the appeals as well as providing an indication of the long-term value of the new donors. With this data we are able to eliminate the guesswork and realistically design a program to achieve the desired results. “Substantial fund raising opportunities are waiting for you in your direct mail donor list”. A well-managed direct mail program can provide substantial funds over an extended period of time. In addition, the donors to this program can be identified for special gift giving opportunities. By taking advantage of these opportunities, we can make significant gains in the overall income to your program. The concept behind donor loyalty is very simple – make them your friends. Keep them informed, acknowledge their support, and tell them how important they are to your success. When you do these things well, you receive the maximum income from your donors and have their support over the longest possible period of time. “Wills and Bequests are an important part of our fund raising programs." At Development Associates, we have found the level of a donor’s giving often bears little relationship to the size of a bequest. Surprisingly, even small donors will often make a very substantial gift in their wills. We know from experience that the foundation for wills and bequest is built through your donor loyalty program. We also know we must motivate donors to remember our clients in their final plans. 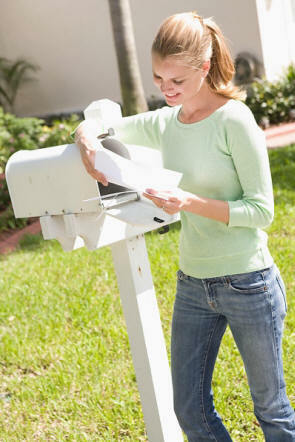 In a well-run direct mail program we should know exactly where the program stands at all times. This includes the obvious facts such as lists used, quantities mailed, percents of return, average gift, mailing costs, as well as profit or loss. At Development Associates this is just the first step in our program management process. The next step is to analyze this data in greater detail and to look for ways to improve the selection or segmentation of the mailing lists. We then compare test mailings to determine the most effective approach. In short, we are constantly looking for ways to improve returns, increase income, lower costs and build a program that can be relied on to provide support for many years to come. First developed in 1981, The Catholic Direct Mail Fundraiser©program allows Development Associates to act as an extension of your development office by allowing us to support, monitor and evaluate your fund raising activities as well as offering to provide additional services, (i.e. in-depth analytical studies, produce donor mailings and/or acknowledgements, create custom reports, change of address list cleaning, etc.). Simplified data entry screens speed up the recording of gifts, adding new names, finding existing names, correcting addresses, and eliminating duplicates. Individual donor records, mailing results, and daily income reports of new and repeat donors are available in just moments. Produce special selections of donors by size of gift (first, last, or largest), date, lifetime giving, or by donor’s interest. Even produce and print a hard copy of your entire list by last name, zip code or donor identification number. Produce Personalized special appeals, thank-you letters, labels, receipts, etc. By using the Catholic Direct Mail Fundraiser©’s mail merge wizard and Microsoft-Word ®, you can easily produce your own thank-you letters or special mailings, and reduce the costs of expensive pre-sorting programs for non-standard mail by using the program’s unique sort sequence, built-in and recognized by the USPS. This sophisticated, yet simplified computer software program does not require extensive training. An average clerical worker can master the entire program in a few hours thanks to an easily understood help system. Microsoft Windows ®, single or multi-user. This inclusive program provides e-mailing using Microsoft ® Outlook, and direct donor contact by telephone.